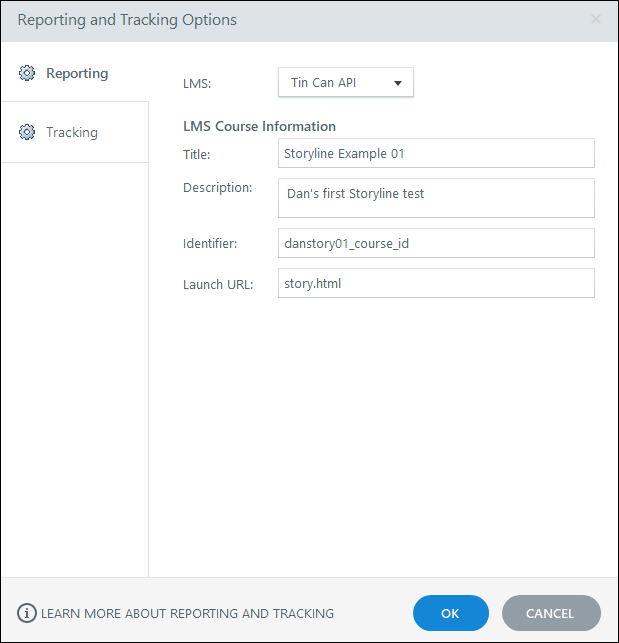 This document describes how to publish a Storyline module with xAPI for use with the Advanced Content Authoring and Reporting (ACAR) solution at UW-Madison. When you are ready to publish your project click File -> Publish. Click the LMS tab on the left. Give your project a title and make sure you select a folder to publish it to that you can find later. Click the Reporting and Tracking button. A Reporting and Tracking window will open. 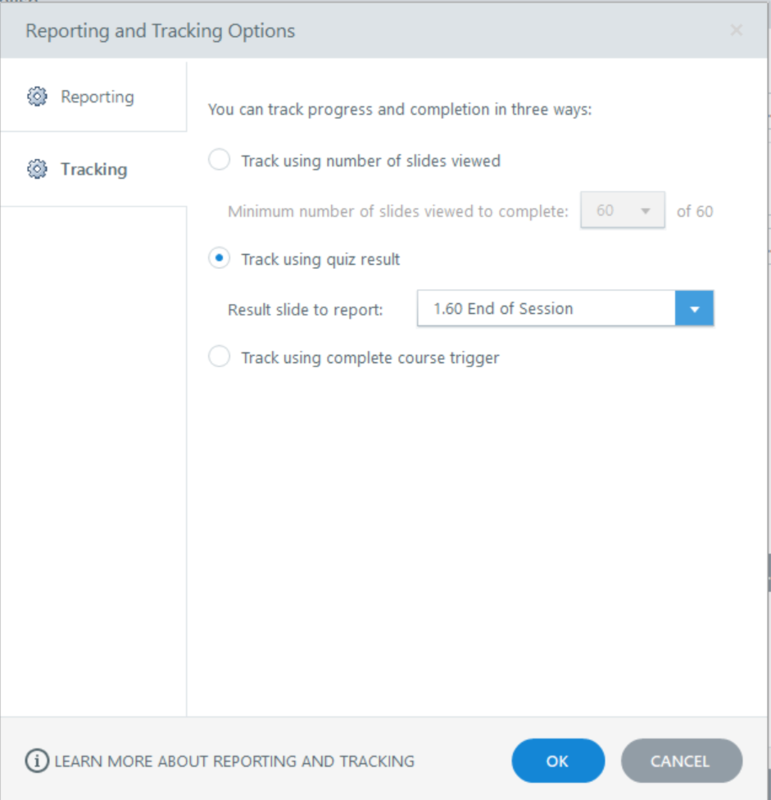 Click the OK button to close the Reporting and Tracking Options window. Click the Publish button. 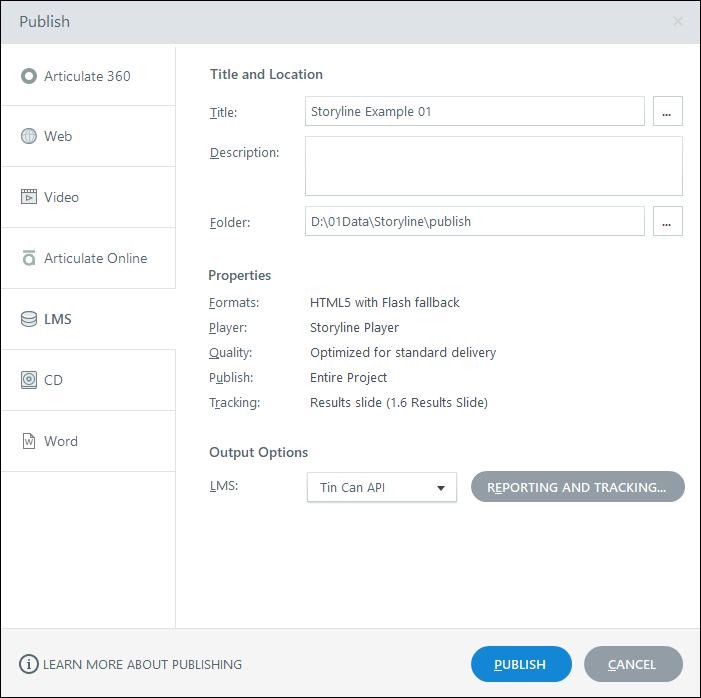 Storyline has published your project to the folder you specified in step 3. If you are planning to use your module as a graded assignment in Canvas, the passing score needs to be set in the Quiz results slide.